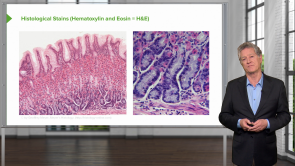 Get in Touch with the Basic Histological Techniques! In this online course students get important insights into microscopy and the different stains. It was great it had everything I need EXCEPT the problem is it is like a revision as if I have already taken this I need more in-depth lessons this feels like an overview and I really need this because I study foreign country so I need everything I can get!